The miniseries is coming out in July. Some interior pages can be found at IGN. I would like to thank any other posters in the community for not posting anything from this, giving me a chance to. However, I want you to know that this posting has cost me dearly. There was a Batman story where Bruce Wayne was injured and had to be replaced by a Batman in power armor. Insert "No, the other one" joke here. 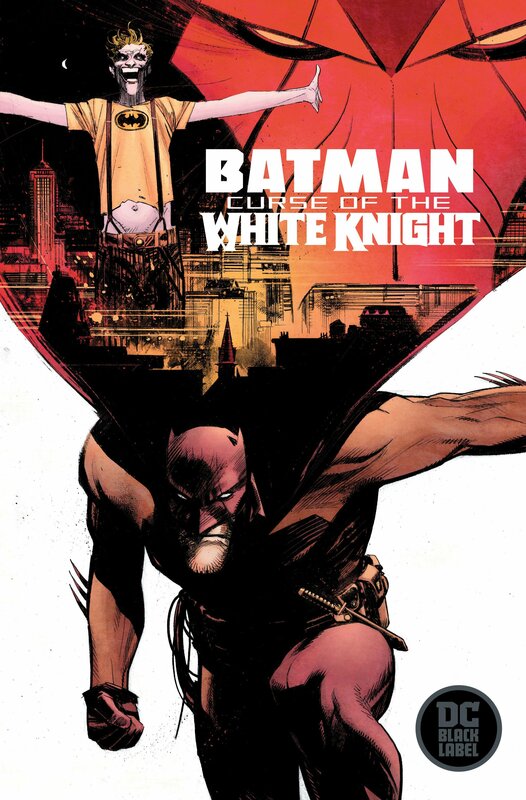 Some random Batman and KNIGHTFALL speculation after the cut. As Az-Bats patrols the city looking for clues to the Joker's plot he finds Robin plummeting to his death! This is the Joker story I most remember from my childhood. Now, this entry should not surprise anyone familiar with my posts here. I've been singing Mr. Dixon's praises since almost the day I discovered Batman, and now, many years after the fact, that hasn't changed. From Azrael 61; seven pages of 22. One image from Azrael 17. The absolute WTF conclusion to Helena B's short run as Batgirl II. (Click for parts I, II, and III). A Special TMI Two-Face Tuesday, Featuring Azrael! ... ewwww. Welp, I don't think anyone's going to try taking his coin now. Two-Face Tuesday! An exhaustive, long-overdue look at the infuating waste that is "Face the Face"
This is a big one. Grab a snack. I've been putting off reviewing Batman: Face the Face for five years now. Every time I started, my criticisms melted down into curses and incoherent ranting, until my computer screen became obscured by rabid spittle. Okay, it wasn't THAT bad, but still. 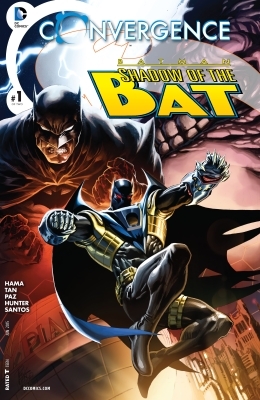 In some ways, it's actually an ideal introductory trade paperback to get into Batman. 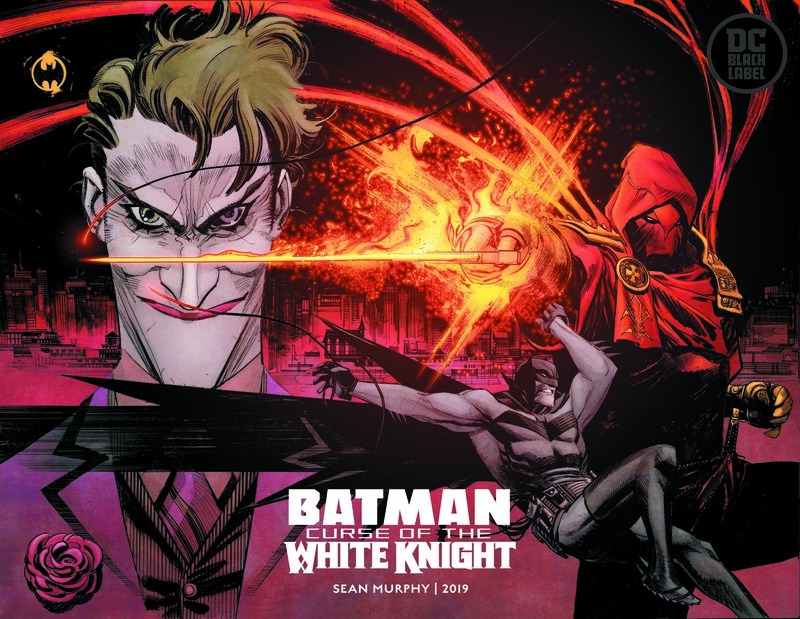 Like Hush, it's a murder mystery that also serves as a tour of Gotham's inhabitants, and it was immediately followed by Grant Morrison and Paul Dini's runs. Unfortunately, it's also deeply frustrating, especially if you're a fan of Harvey Dent. This was the first story to use the character in the three years since Hush, since Loeb supposedly had plans for Harvey hich kept him in limbo until those plans would reach fruition. They never did, and I think folks at DC wanted their precious status quo back in place. I also understand that Two-Face is Dan DiDio's favorite villain, which may have been a factor. In any case, Face the Face is one of the most significant Two-Face stories in canon, and also one of the most painfully frustrating. After five years, I finally have the words to explain just why. Batman: Face the Face can be purchased here if you wish to read the story in full, including the Tim Drake subplot, several other Rogues doing their Rogue things, and the entire issue dedicated to Harvey and Two-Face's discussion. 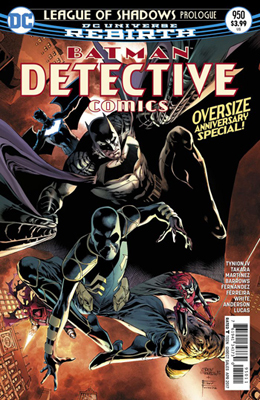 As mentioned above, it also serves as a gateway to the comics which are coming out today, leading directly to Dini's Detective Comics and Morrison's Batman. The Bloodlines have ended. The heroes of the DCU are now finally able to assemble against the Parasite threat, but will it be enough? Or will it be the fall of Earth? 18 pages of a 56 page story. Another of my favorite issues from the Bloodlines event. In a bit of a confusing event this issue was less about the heroes fighting off a Parasite (or really at all) and more about what happens when you make two New Bloods at the same time one good and one bad, but with another twist. Some odd art in the story and fairly uneven but I can't say I disliked it. Hmm, I'll admit I wanted to kinda skip this New Blood. His power was amazingly stupid and very ill used even in this book. Though I guess at least one hero had to be gifted with powers that are...well...useless. Meet Geist the Twilight Man. That's. Yeah.